Apart from being a gorgeous dress, my inspiration from the dress comes from the colours, flowers and the grey & blue rays. So here is my take on Jenny Packham’s dress. 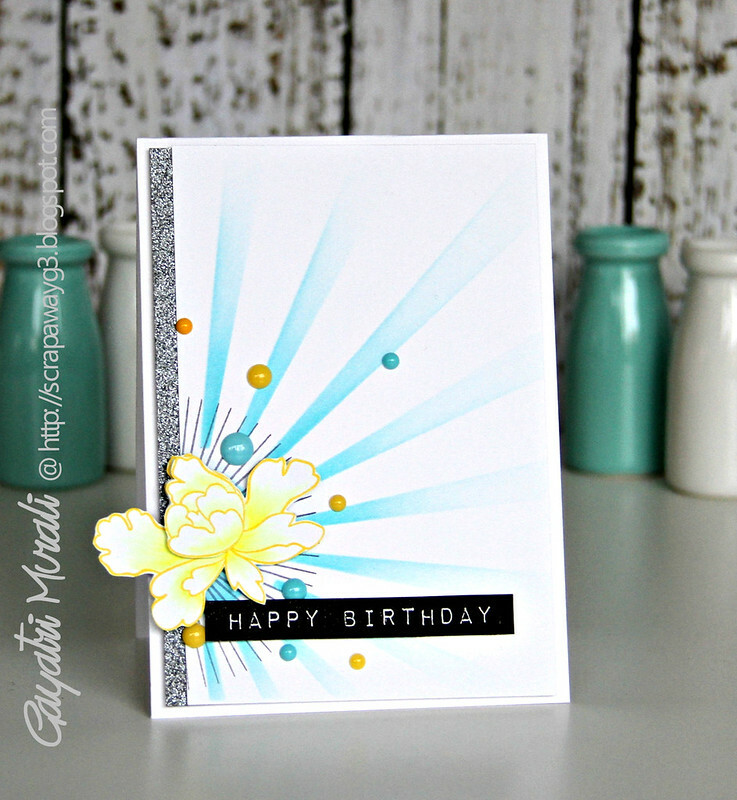 I used Sunray stencil from MFT and sponged some blue pigment. Then used the sunray stamp image from Wplus9 Epic Dad stamp set to stamped in grey. The flower is from Altenew’s Peony Scroll stamp set. 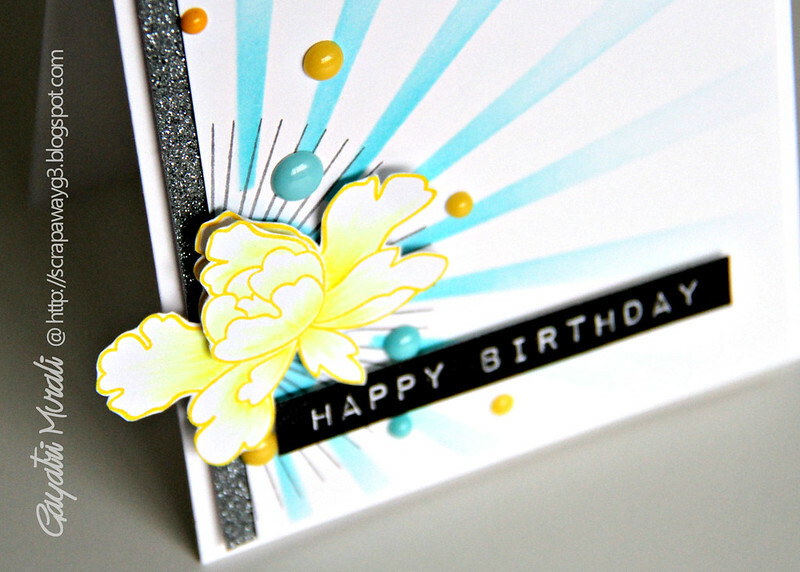 I stamped the flower in yellow ink then coloured with yellow copics. The sentiment is from Label Love stamp set from Altenew. Accented with some grey glitter paper and glossy enamel dots. Here is a closeup! Stunning take on the gown. That flowere is perfectly colored. Wow. This is so pretty. Just a wonderful take on the inspirationall pic.